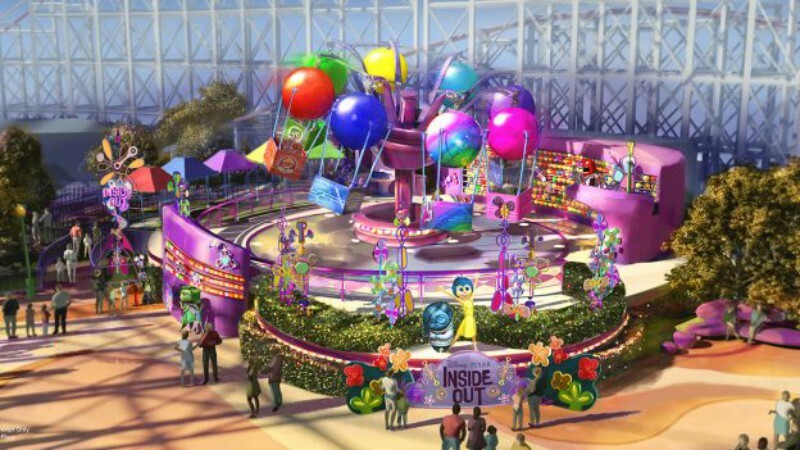 As previously announced, the Inside Out Headquarters neighborhood on Pixar Pier at Disney California Adventure will feature an attraction themed to the popular movie. Today, the Disneyland Resort announced that the attraction will be called Inside Out Emotional Whirlwind. The Disney Parks Blog also released an artist’s rendering of the attraction, and as rumored, the updated attraction appears to be a retheming of Flik’s Flyers from the soon-to-close a bug’s land. Inside Out Emotional Whirlwind is set to open in 2019, as is Jessie’s Critter Carousel, the reboot of King Triton’s Carousel. Pixar Pier opens to the public tomorrow, June 23rd!